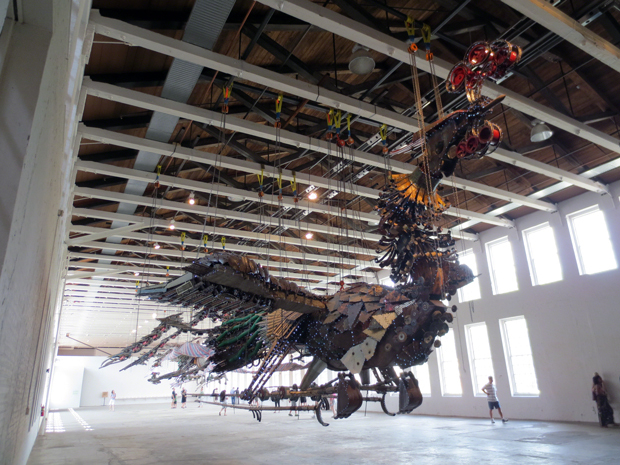 Weighing in at 12 tons each, this male and female Phoenix duo was conceived by the talented Chinese artist Xu Bing. 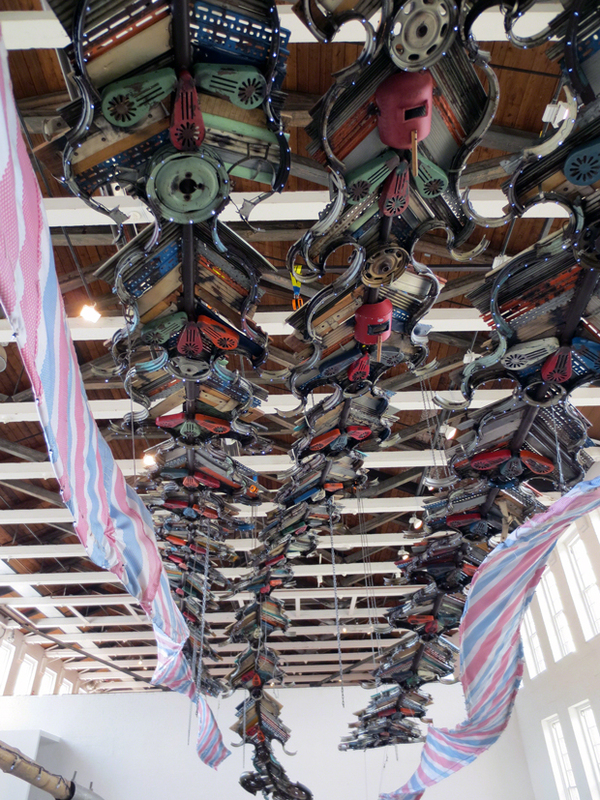 The Phoenix Project is on display in a football field size exhibition space at MASS MoCA’s Building 5 through October 27, 2013. You will be awestruck when you enter this room. On closer inspection of the parts and pieces used to create these creatures, you will enjoy identifying components that were salvaged from urban construction sites in China. These giant birds are illuminated with tiny LED lights and create a breathtaking sight at sundown. Note the welder’s masks in the image below…. what other items are you able to identify?